At the Sylvia G Thompson Residence Center, resident rooms, both private and semiprivate, are luxuriously appointed, with carpet, wall coverings and draperies chosen by a professional decorator. There are no mass-produced, modular units here. 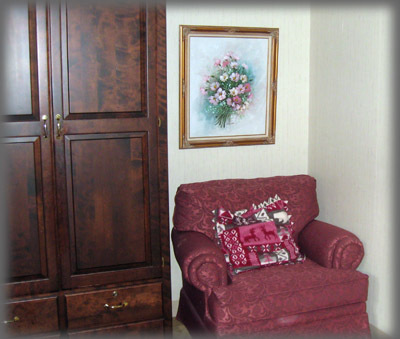 Furnishings are chosen to provide the look and welcoming feel of a well-appointed residence, without the institutional atmosphere that is far too common in long-term care facilities. 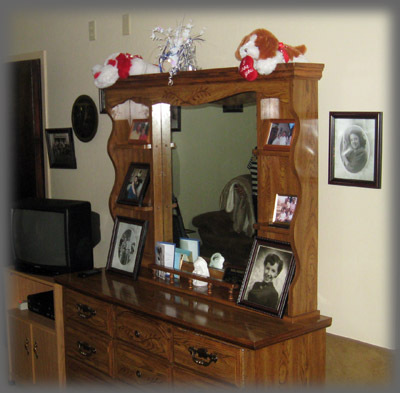 Residents are encouraged to add their own personal touches, in order to bring that feel of familiarity and home to their room. 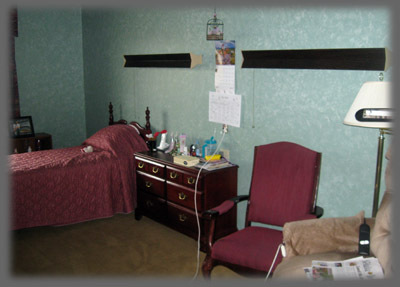 And daily housekeeping services keep living areas clean, neat and ready to welcome each resident in comfort and style. 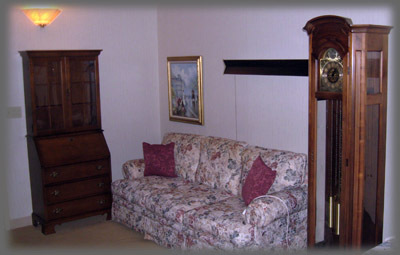 Personal telephones, cable TV and high-speed internet are available in resident rooms. SGTRC staff can assist residents or their family members in making arrangements for these amenities.